Swiss Psychiatrist Carl Jung distinguished between introverts and extroverts in 1921. Introverts, he theorized, focus primarily on their internal world and the meaning they make of the events around them. They also recharge their energy through solitude. In contrast, extroverts are the opposite; they are drawn to the external life of socializing and they focus more on immersing themselves in activities and events. Extroverts regain their energy through their social interactions. According to Susan Cain, author of the book Quiet: The Power of Introverts in a World That Can't Stop Talking (2012), introverts and extroverts differ on a variety of planes. For instance, introverts require less stimulation than extroverts to function well; they’re also less likely to multitask and make impulsive decisions in their work, are less comfortable with conflict than extroverts, and are more likely to identify as highly sensitive. If you identify as primarily introverted, it’s a safe bet that you’re likely to feel (at least some of the time) overrun and overstimulated by the pace of your workplace, by the extroverts around you, and by the myriad of interruptions and happenings occurring throughout the day. You may feel as though your mind is desperately seeking time to digest, recover, and recharge - continually fighting the current of a culture that’s largely idealizing extroversion. On the other hand, if you identify as being an extrovert, you may be in a position of leadership: studies show 96% of managers report being extroverted. As such, you’re likely comfortable sharing your ideas and motivating your coworkers, but you run the risk of missing out on what quieter, more passive people have to share. This is where the "Be" and "Be Silent" Breaks can help! The “Be” Break is geared towards introverts. It consists of giving yourself a few minutes to “just be,” and nothing more. It’s a practice in “non-doing,” which means “letting things be and allowing them to unfold in their own way” according to Jon Kabat-Zinn. So let your mind wander, let thoughts and feelings surface, and give them all the space they need. There’s no requirement to change anything, just try to observe what is going on inside you. When you’re ready to, you can begin to observe what is going on in the world around you. Notice your surroundings and the people nearby. Incorporating this meditation-like break several times a day can be calming and empowering. It allows you to recharge your batteries and feel more grounded amidst the distractions of your workday. Now, as you may have guessed, the “Be Silent” Break targets extroverts. It consists of taking a break from being social, and instead to listen and observe what you may otherwise miss out on. Start by paying attention to your surroundings and the people around you. Pay attention to their emotions, not just the words they’re saying. When you’re ready, direct your attention to the world inside. Check up on what’s going on in your mind, how you’re feeling, and any bodily sensations that arise. What you’re accomplishing with these breaks, whether you’re an introvert or an extrovert, is a moment of mindfulness. “Mindfulness means paying attention in a particular way: on purpose, in the present moment, and nonjudgmentally,” says mindfulness pioneer and thought leader, Jon Kabat-Zinn. Instead of going with the flow and being at the mercy of what’s happening around you, infusing mindfulness into your workday helps you stay afloat. It also reduces stress and emotional reactivity, while boosting memory and focus, according to the American Psychological Association. Are you more of an introvert or extrovert? What kind of breaks do you enjoy the most? Will you try the “Be” and “Be Silent” Breaks? We would love to hear from you, please take our survey now by clicking here. Article originally published on Thrive Global. You may have heard of a productivity method called the Pomodoro Technique, developed by Francesco Cirillo in the late 1980s. 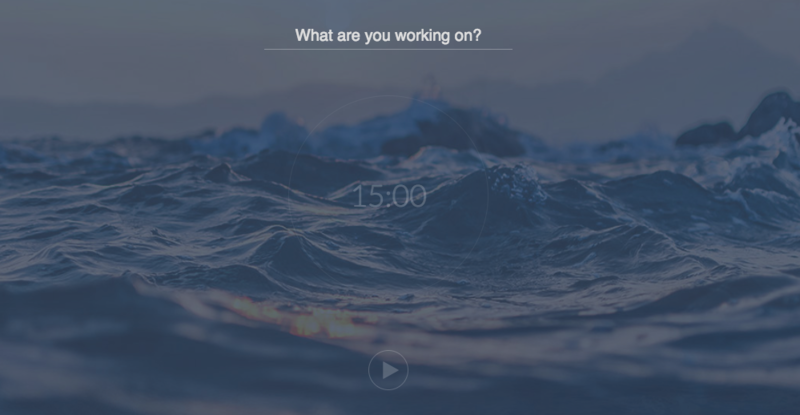 The technique allows a user to choose a task and focus on it for 25-minute intervals. A pre-set kitchen timer will ring once the minutes are up, allowing the user to take a short break before picking the task up again. After completing four cycles of 25 minutes each the user is encouraged to take a longer break. Since the inception of the Pomodoro Technique, several apps have emerged to help people use it. This eventually led to the creation of a digital version of the traditional technique (which I am calling the first revision). Given that we’re in a digital age, it was only a matter of time before the technique went online, too. Brought about by the ubiquitous use of the Internet, digital devices, and the myriad of products and services launched by Google, Apple, Amazon, Facebook, Tesla, and others, the technique is helping us have “better and more efficient lives”. Or, at least—so we’re told. Granted, we’ve now experienced enough of the digital age for its side effects to set in: overwork, overwhelm, hijacked attention, countless digital interruptions, scattered thoughts and ineffective multitasking. But the most worrisome of all is the fact that we’re less in touch with our own emotions, and more disconnected from other human beings. A more radical shift is needed. And this radical shift from a technological overload back to human connection is already taking place—it is the shift towards mindfulness. Mindfulness means a lot of things in the workplace. For example, paying attention to what is happening now around us and within us, being more intentional instead of being driven by impulses, taking the time to disconnect from technology and reconnect with ourselves and others, and incorporation mindfulness practices to help deepen self-awareness and attention management. With this radical shift, a second revision of the Pomodoro Technique is in order, and this time, for the mindfulness age. This necessitates a new generation of productivity apps that help us practice mindfulness at work. So what would this look like? 1) Be mindful of what you're working on at all times. This means choosing your tasks with intention and putting them down in writing or cataloging them in an app. This is a crucial step because our minds, challenged by the digital overload, are often incapable of retaining focus on the intended task for longer than a few minutes or seconds. On a typical day, you start to work on a task. You receive an email, so you leave your task and open the email, but then another email arrives, and before you know it you’ve clicked on a link and spent half an hour mindlessly perusing Instagram or Facebook. Enough said about awareness and choice. Being mindful in our daily activity starts with this simple question, "What are you working on?" 2) Be mindful of your time. This can be achieved by having a timer running and working in small time increments. Fifteen minutes is an ideal time interval (based on experience and attention span research). It is short enough to be digestible and long enough to help you accomplish small incremental progress towards your task. But don’t think this is a deadline for finishing your task! Rather, it is a time to check-in and decide if you’re on the right track or if you need to adjust. It is a mindful moment. You can continue as long as you choose to. The key here is that you make an intentional choice. 3) Pause to acknowledge accomplishments no matter how small they are. Typically, when we finish a task we’ll just go on to start a new one. Our lives in the office and our lives at home just meld into one overwhelming blob of work. Not to mention that we still feel anxious about everything left undone before going to bed. This needs to stop. And it’s precisely at the 15-minute time checkpoint that you can do just that. Pause briefly and acknowledge what you have accomplished. Take a deep breath and let the feeling of that accomplishment sink in. These moments of acknowledgment are likely to have a cumulative effect and change how you feel about your work for the better. 4) Be mindful of what is going on inside. The 15-minute checkpoint is also an opportunity to check-in what is going on in your mind, how you’re feeling emotionally, and how your body is feeling. Spotting thoughts, feelings, and sensations often and early, and giving them space or processing them in time, will help you stay in tune with yourself and prevent negative thoughts from becoming monsters that consume us and the people around us. Below are some of my favorite personal breaks. Just a couple minutes of stretching, meditation, or simply being can help refresh my mind and prepare me for the next task at hand. All in all, as science and neuroscience continue to demonstrate, mindfulness is our best bet for overcoming the overload and reclaiming a more peaceful and satisfying life. So isn’t time we bring this to our work? This is not about meditation, even though meditation can tremendously strengthen our ability to be mindful. This is more about developing the practices of working mindfully throughout our day, not just to increase our productivity but also to reduce our stress, anxiety, and sense of distraction. We can achieve this through analog or digital, by using the above guidelines as a starting point. In the end, we have a lot to gain by incorporating mindfulness into our workday, and a lot more to lose by not doing so. *This article is a sequel to our first article about an analog journal practice of this method, A Revision of the Pomodoro Technique for the Internet Age, published in the Huffington Post. Only a few days ago, it was unimaginable to think that planes would ban the use of laptops during a flight. It is now a reality with some nonstop flights to the US. According to The Business Insider, the decision to implement a laptop ban resulted from intelligence suggesting an increased risk of terrorist activity on airplanes. It is still unclear how long the ban will last and how many airports (or countries) will follow suit. The United Kingdom has already announced a similar ban on laptops and tablets within six UK carriers and eight overseas carriers. The prohibition of any device larger than a cell phone, while inconvenient and time-consuming, also results in a major productivity setback for business travelers. This is especially cumbersome on lengthy flights, such as my recent flight from Dubai to San Francisco. 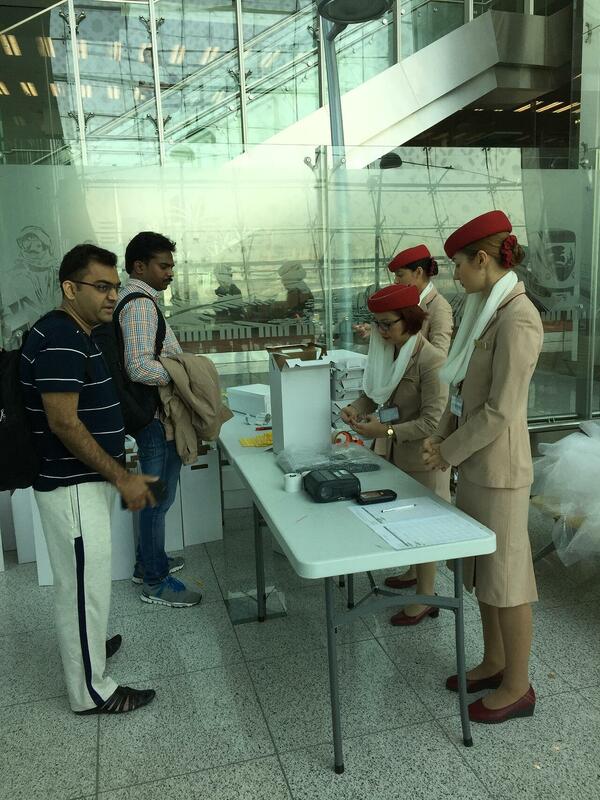 I witnessed with mixed emotions the Emirates staff boxing up all the passengers’ laptops and taking them away, to be later delivered upon our arrival in San Francisco. Although I’m a huge supporter of unplugging and infusing mindfulness into today’s overly-digital world, I’m also someone who enjoys staying productive and managing my time efficiently. Unsurprisingly then, the most important question I had was: What do I do on a 16-hour flight without my laptop? Fortunately, I had my Perfect 15-Minute Day Journal with me, which provided me with the opportunity to practice mindfulness and skillfully organize my time. Bearing that, I created a plan for how to best spend my hours during my laptop-free flight and I’ve decided to share the outcome of this undertaking below. My journaling practice was definitely the highlight of my flight. I had the opportunity to reflect on a variety of topics and issues - some personal and some business-related. Journaling is not only a great practice for strategizing and planning but also an excellent mindfulness practice for thoughts and emotions. According to Chade Meng Tan, author of Search Inside Yourself: “Journaling is the practice of self-discovery by writing to yourself.” Given how easily distracted life can get in today’s busy world, it was a welcomed opportunity to simply sit and write. Among the variations of mindfulness meditation practices that I practiced was the “Body Scan” by Elisha Goldstein. 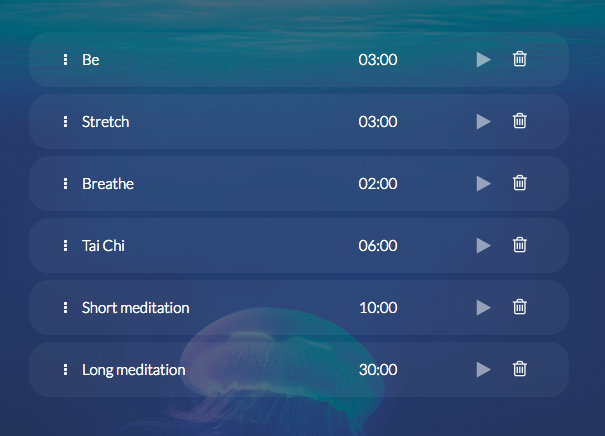 The goal of Body Scan Meditation is to take a few minutes to connect the mind to different parts of the body. It’s about reacquainting ourselves with our physical bodies and fostering awareness of how each separate area feels. Fortunately, I planned ahead and downloaded this exercise to my iPhone ahead of time (thanks to the Youtube Saving Offline Feature). While it was reassuring to know that I had these options, I somehow didn’t get around to accomplishing them at all. It is possible that during this particular flight, my mind had more unloading to do and less uploading to focus on. Nevertheless, it is always a good idea to have a variety of choices at your disposal. As mentioned in the previous paragraph, make sure to load these to your phone in advance as you may not have the opportunity to do so while on your flight. While having options is good, having too many options can be a little chaotic. This was, in fact, the case with the extremely large selection of movies available during my flight. 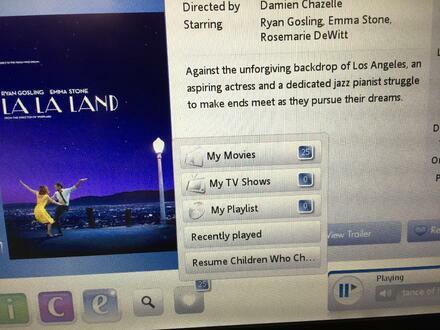 It resulted in more than 25 movies being added to “My Movies” (a list of favorites provided as part of the nifty entertainment console on the plane). 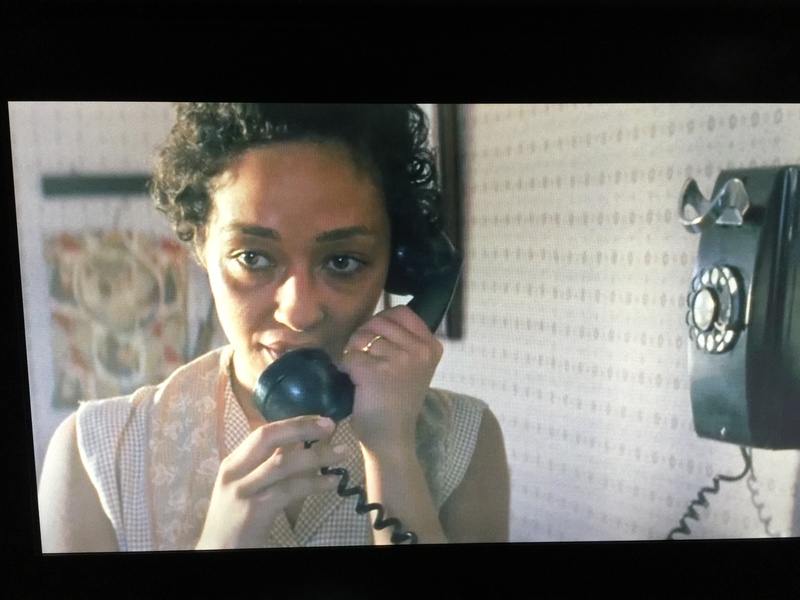 After going through the lengthy process of elimination, I narrowed down the list significantly and enjoyed “La La Land”, followed by the movie “Loving”. I’d say we’re all better off choosing two or three movies that stand out and sticking with them until the end, instead of wasting hours perusing (but not really watching) all 25. 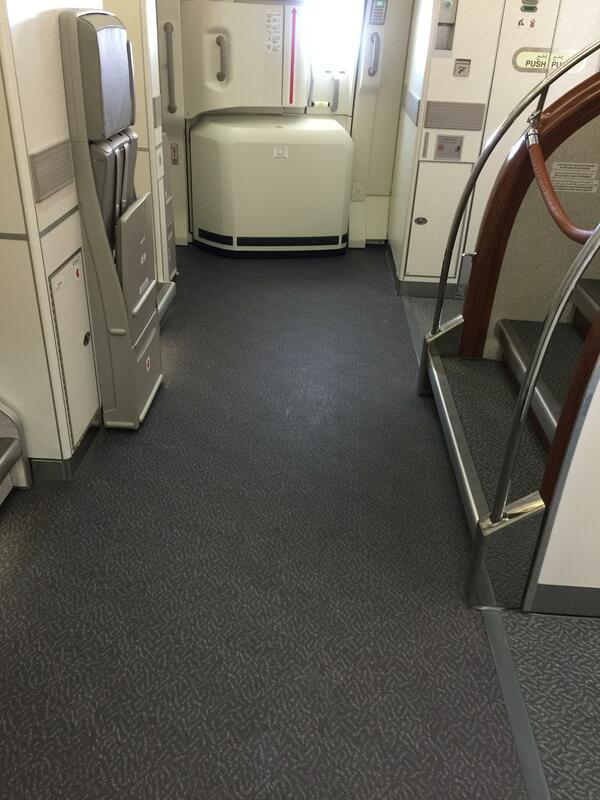 The plane had plenty of open space in the front, which translated into a lot of stretching for me. Not long after I stood up to stretch did I had this marvelous idea: I will practice walking meditation. Although I may have been mistaken for an especially keen sleepwalker, I did manage to enjoy several walking meditation practices on my flight. Later, I tried some Tai Chi moves, which I can attest were equally as rejuvenating and garnered just as many stares. Another unimaginable notion I witnessed on my flight: a group of computer geeks standing around and socializing in the wild! It appears that some incredulous things happen when you take laptops away, even for the most reclusive of us! I myself ventured into striking a conversation with my neighbor and learned a lot about life in South Africa, India, the history of Buddhism and Hinduism. Come to think of it, perhaps I am also included as part of that rare sighting of socializing computer geeks after all. So I began writing and several article ideas started developing for me along the way. I found my paper journal to be an amazing tool for jotting concepts down and practicing visual thinking. I postponed the editing and refining to later, however; it’s a little more difficult to refine your writing when you can’t even cut and paste. Despite my initial hesitance about not having access to my laptop or tablet, I succeeded at ensuring my 16-hour flight was as productive as possible. Equipped with the Perfect 15-Minute Day Journal (and the mindfulness practices described above), my flight was transformed from inconceivable to quite delightful. While I typically envy those who can sleep on such a flight (as I, unfortunately, cannot), the Plan I wrote out managed to really do the trick. Although it wasn’t by choice, I am grateful for the opportunity to focus a little less on the digital world and spend a bit more time writing, meditating and socializing. Now it’s your turn: Tell me, what’s your backup plan during the laptop ban? How do you like to stay productive on a flight? And have you found it difficult to socialize with strangers when you’re not sitting behind a computer screen? Leadership is undergoing a tremendous transformation and it’s a very exciting transformation! Having been entrenched in the field of leadership development, witnessing and being part of this exciting transformation, my co-author, Adrian Ott, and I, decided to explore this topic further. We reached out to our communities and to professional panels in N. America and posed some vital questions related to leadership. The resulting leadership survey was met with enthusiasm. The workforce seems to be ready for changes in this field. The survey examined a broad range of topics related to leadership and workplace issues. Click here to download the infographic of today’s leadership. More than 800 North American business professionals participated in survey and qualitative research from January 12, 2013 to June 1, 2016. Six hundred eighty-seven (687) business professionals were culled and qualified from the survey responses and analyzed in the quantitative survey. The largest segment (61.7% of the respondents) is from organizations with 1000 or more employees, followed by respondents from organizations with less than 1000 employees (21% of the respondents), and then independent consultants and contractors (17.3% of the respondents). The respondents represented a broad range of industries. In terms of their functional areas within the organization, professional services, top management, and administrative were the largest segments, followed by product development, marketing, and sales. In terms of the generations, Gen X (those born between 1961 and 1980) and Baby Boomers (born between 1946 and 1960) were the largest segments. 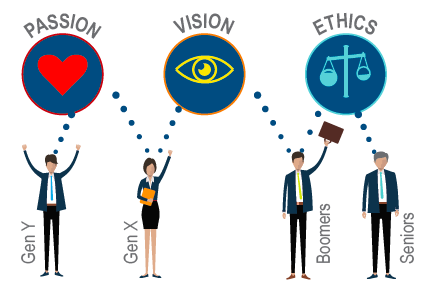 Finding 1: Gen Y emphasizes Passion, Gen X emphasizes Vision, Baby Boomers emphasize Ethics. Different generations emphasize different aspects of leadership. Leaders need to be aware of generational differences to lead across generations. In addition, generational diversity in the workplace is essential to bring together Passion, Vision, and Ethics and therefore provide unprecedented leadership and engagement momentum. Finding 2: Awareness of self and awareness of others are vital leadership skills in today’s work environment. The workforce today views awareness of self and awareness of others as vital leadership skills. This shows a fundamental shift in how people perceive leadership. It is no longer sufficient to be visionary, focused on results, and portray confidence and charisma. It is more important to demonstrate increased awareness throughout to earn the “leadership” badge today. Finding 3: Leadership is not a fixed trait; it can be developed. More people are realizing that leadership is not a fixed trait that you either have or you don’t. Leadership can be learned. This attitude, however, varies by generation. The idea that you are born with leadership is greatest in young Gen Y and decreases in other generations. While it is important to have a happy workforce, it is also necessary to have passionate people whose strengths match the core strengths needed to bring about breakthrough accomplishments (hence, the “sweet spot”). Can more be done to have more people find their sweet spot at work? This result also varied by functional area. Product development people are the least satisfied at work. Finding 5: The reach of leadership training and development needs to be broadened. More people are realizing that leadership training and development needs to be made accessible to more people within the organization. This is a key finding and a new development in leadership. About 63% of the survey respondents indicated that front line employees should receive leadership training, and 58% indicated that individual contributors should receive leadership training. Download the infographics and check out the complete survey report which presents the details of the survey results shown by generation, by functional area, by level within the organization, and by company size. You may have heard of a productivity method called the Pomodoro Technique. The technique calls for a kitchen timer set to 25 minutes; the user chooses a task and focuses on it for 25 minute intervals separated by short breaks. It’s a simple technique developed by Francesco Cirillo in the late 1980s, and has since gained much popularity. However, things have also changed quite a bit since the 1980s. The Internet was invented. Google came along and grew into an Internet giant valued at more than 600 billion. Facebook launched and connected more than 1.7 billion users. Apple released and sold more than one billion iPhones. Tesla masterminded the revenge of the electric car and launched its self-driving technology. Uber drove the on-demand economy forward and expanded to more than 500 cities in more than 60 countries. In this increasingly digital world of everything mobile, social, and on-demand, our way of working has changed dramatically since the Pomodoro Technique was created. For this reason I believe an upgrade to the Pomodoro Technique is in order--or maybe not just an upgrade, but a reinvention. That’s why I developed the Perfect 15-Minute Day Method (PDM), partly by my design, and partly by design thinking with a group of more than one hundred early adopters. Here are three key ways this new and updated method of focus and productivity better suits the digital environment we work in presently. First, let us start with the obvious change: PDM shortens the timed focus interval from 25 minutes down to 15 minutes. This change accommodates both our shorter attention span (resulting from the constant distractions of our digital gadgets), and the highly collaborative and distributed work environment we now live in. Recent research by Gloria Mark finds that the average length of time workers spend on a particular project before switching to another project or being interrupted is only 11 minutes. The majority of our early adopters who tested the new method confirm that the 15-minute timeframe hits the spot for them. For most, 15 minutes proves to be achievable and motivating. 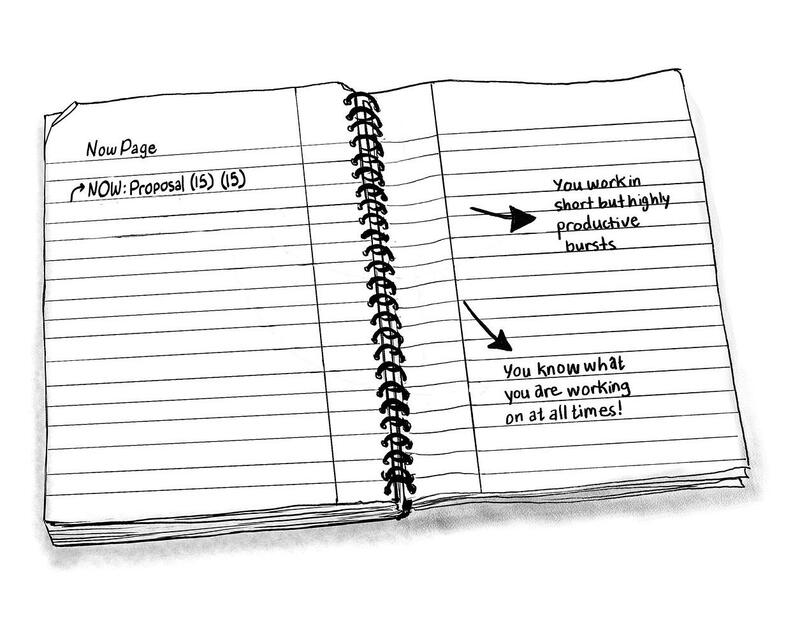 Second, PDM helps us manage our attention and introduces the practice of mindfulness at work by adding a journal note-taking system. Whether you try to focus for 5, 15, or 25 minutes, the core challenge remains the same. Productivity is not about managing time; it is about managing your attention. (Try to even finish this article without distraction, can you?) Managing your attention means having a focus (in this case your task for the 15-minute interval), keeping your attention on your intended focus, noticing whenever your mind wanders or you are distracted and then re-directing your attention back to your intended focus. 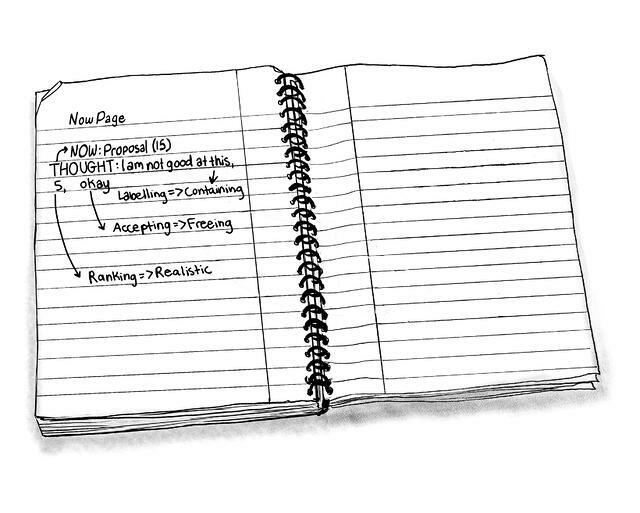 “Is it really necessary to jot down in writing what I am working on now?” You might ask. “Aren’t we capable of remembering what we are working on? 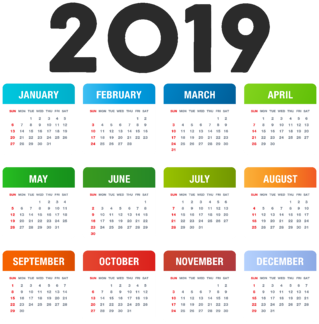 And aren’t we naturally aware of time?” To answer these questions, check out this short video (and please don’t get distracted by additional videos--remember that your task now is to finish this article). Third, PDM lets us befriend interruptions. Interruptions are not necessarily the problem. What we do, or don’t do, with interruptions is the problem. For interruptions that can’t be avoided, our design effort led to a simple technique we call “labeling interruptions.” Labeling your interruption allows you to quickly recover from the interruption and bring your attention back to your intended focus (the 15-minute task). This works for interruptions of all kinds, whether external like chatty colleagues and urgent issues, or internal like our own thoughts and emotions. For instance, while working on a project proposal there is a nagging voice in the back of your mind saying “I am not good at this.” If left unaddressed, this thought can grow and cause a bad mood, procrastination, and/or lingering self-doubt. Journalist Dan Harris describes this negative progression in his book 10% Happier: "Thoughts calcify into opinions, little seeds of discontent blossom into bad moods, unnoticed back pain makes me inexplicably irritable with anyone who happens to cross my path.” To stop this slippery slope, we again practice labeling the thought or emotion in our journal in order to confront the thought. Here we ascribe a THOUGHT tag and rank the thought’s seriousness to put it into perspective. Finally, you decide on closure if necessary, or at least put it to rest for now, and bring your attention back to your focus (the NOW task). All in all, the Perfect 15-Method Day Method is much more than a kitchen timer. It is a comprehensive method that accounts for time, thoughts, emotions, and the overall management of your attention to transform you into a highly effective and well-rounded person with increased awareness of self and others. It is a method for the present, to bring our distracted minds to the NOW. To learn more PDM techniques and strategies visit theperfect15minuteday.com. We all have an inner critic, some more vocal than others. And while we do our best to stay positive, a fumble, misstep, or bad luck can start a mudslide of negative thoughts and judgements about ourselves and the world. We may not even be fully aware of these thoughts as they occur, but we notice when they add up, accumulating into a bad mood, depression, low self-esteem. This in turn affects our work and relationships. How can we solve this? By changing our mindset. The game of life is 99% mental, and our mindset, the framework of our thoughts, makes all the difference. According to Carol Dweck, Ph.D., a Stanford Psychology professor who spent years researching why some people fulfill their potential and why some don’t, there are two major mindsets that can determine your success – the “fixed mindset” and the “growth mindset.” She finds that when people believe that their basic traits and abilities are fixed in what she calls a “fixed mindset,” they tend to limit themselves by avoiding challenges and have difficulty coping with failure. On the other hand, when people have a “growth mindset” and believe that their qualities are things that they can change and develop, then they tend to be better at learning new things, taking on challenges, and recovering from setbacks. Those who maintain a growth mindset in their endeavors, Dweck asserts, are the ones who succeed. As you may have guessed, fixed mindset frames many of those judgemental thoughts and negative feelings that discourage and disable us during the regular workday. So how do we change from a fixed mindset to a growth mindset? The key is self-awareness, or mindfulness. Be able to recognize thoughts arising from a fixed mindset, and catch them before they take root. However, so many thoughts flit through our minds within minutes, seconds, that this can be quite a challenge. I highly recommend writing things down, and regularly taking a moment to mentally check-in with yourself. A self-management method I devised helps you practice these two things and move out of a fixed mindset into a growth mindset. I call it the Perfect 15-Minute Day Method, or PDM for short. PDM promotes self-awareness of your focus and train of thought, and encourages positive thinking. All it requires is a journal, timer, and the method itself. The method focuses your attention in 15-minute timed intervals, with breaks in between to check-in with yourself, your focus and your thoughts. The PDM Journal is a space to record your plans for these 15-minute sessions, jot down thoughts that arise and note your reflections. I find there are three major ways in which PDM promotes a change from fixed mindset to growth mindset. For one, those stuck in a fixed mindset believe their basic abilities cannot be improved, and the PDM Journal can help disprove this. The PDM Journal serves as a record of your accomplishments, of your personal growth in your work over the short term and long term. In the short term, PDM calls for a daily End of Day Reconciliation of your notes. This encourages you to reflect on things you learned, skills you utilized and improved that day. In the long term, flipping back through the days, weeks, and months of your journal allows you to see how far you’ve come in your projects and endeavors. Secondly, those in fixed mindset avoid challenge for fear of failure, and a core technique of PDM is to break down chunks of time and intimidating tasks into manageable bits and bites. The PDM timer technique of 15 minute focus intervals encourages you to get started on an intimidating task because it’s short enough to be approachable and long enough to make progress and gain momentum. MicroPlanning is a PDM technique of breaking large tasks into smaller steps, which helps you to think through and visualize exactly how you will do a challenging task. Together the timer technique and MicroPlanning encourage you to approach your work incrementally, 15 minutes at a time, one step at a time. Rather than seeing one big project that magnifies the potential of failure, you see many small, doable ones. And thirdly, PDM encourages you to regularly check-in with your train of thought, listen to your thoughts and notice how they affect you, your emotions, your relationship with your work, and productivity. There are two tags utilized in the journal, Thought and Emotion. When a troublesome or distracting thought or emotion arises, PDM teaches you to jot it down, label it (what is the thought, what is the emotion?) and rate how distressing it is on a scale of 1-10. When those with a fixed mindset experience a setback they may label themselves as a “loser” or “failure.” PDM teaches you to label thoughts, not people. Let us know in the comments if the method helps you move out of the fixed mindset and into a growth oriented one. You can also look forward to part two of this article - how the PDM helps you maintain the growth mindset. Check out The Perfect 15-Minute Day book, eBook, journal, or eCourse! “I’m good at what I do, but one can always be better. Sometimes, I surf the web when I should be preparing for a meeting or answering email. When I realize I’ve wasted time I feel overwhelmed and stressed. I end up spending more hours at work without receiving more in pay, and my personal life suffers. Kate’s story probably sounds familiar to you. The digital world offers amazing tools for productivity that promise to sync with the complexity of our modern lives. However, any given web or digital app designed to increase productivity can quickly turn on its head and become a constant distraction and time waster. While the digital world offers complex and advanced tools, analog can yield simple yet effective solutions to the same problem. This is what motivated me to develop an analog method for productivity. I call it the Perfect 15-Minute Day Method (PDM). All it requires is a timer, notebook, and pen. The method uses “tags” and 15-minute timed intervals to help you gain and maintain your focus on important tasks. Set a kitchen timer for 15 minutes, and work on your task. When the timer goes off, return to step one and repeat. PDM utilizes simple, yet effective principles. The use of pen and paper creates a healthy separation from the distractions of our digital gadgets. This gives you a quiet space to focus and a place to record what you are focused on so you can quickly regain focus if distracted. The timer heightens your time awareness and instills a realistic sense of time. (Note, the timer can be digital or analog, as long as it is easy to use and does not offer more distraction!) Fifteen minutes is the time interval of choice because it is substantial enough to get something done and approachable enough for us to start a task that we’ve been avoiding. And the NOW tag firmly grounds you in the present moment. 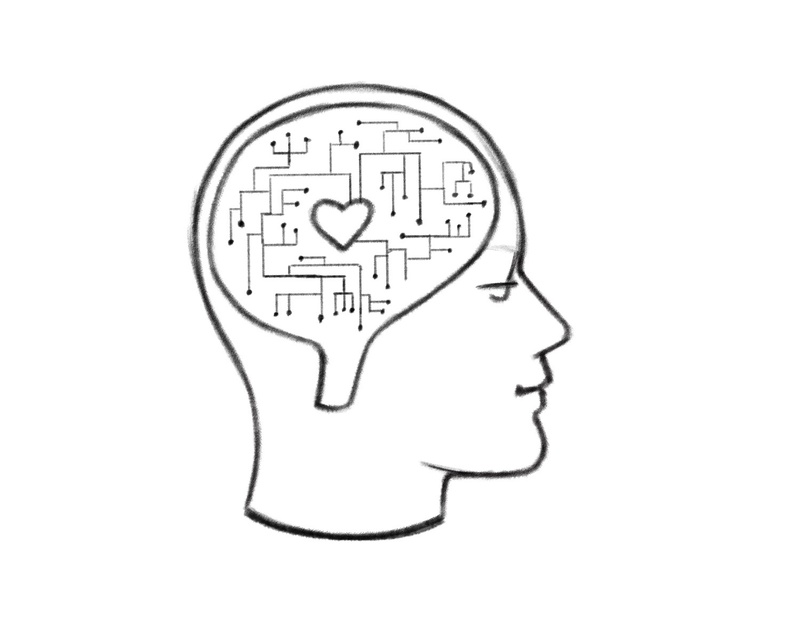 Tags are the core of the PDM, because tags help users become fully conscious of their attention. For every task you take on, simply write it down with a parenthesis to indicate how long you will work on it for (the next fifteen minutes at least!). When you want to answer emails, note down the EMAIL tag and set a timer for 15 minutes. When you need a break from work, use the OFF tag and set a timer for, you guessed it, 15 minutes. This method works because creating focus is as simple as declaring your intention to focus, and specifying what you will focus on. Kate tried this method and found it significantly improved her ability to focus. She writes “Overall, this no-frills analog method has helped me and many others become more efficient at work. The PDM helps to distance users from the distractions of the digital world and overcome procrastination.” Not only that, but it also helped her to skillfully use her digital tools so that they did not become distractions. For instance, the PDM includes an “E-Mail as a Task” strategy for processing e-mail quickly and efficiently so that you do not get lost in your inbox. Digital tools no doubt enable us to work and communicate more productively and efficiently than ever. However, digital tools are not the solution to digital distractions. When it comes time to sit and focus on our work, the paper journal is the most effective aid for bringing our focus to the present and our energy to our priorities. If you find the digital world to be more distracting than productive, going back to analog may do the trick. With just a journal and timer you can create the perfect day. To learn more PDM techniques and strategies check out The Perfect 15-Minute Day book, eBook, journal, or eCourse! Which Drives Your Happiness? High Net Worth or High Net Growth? We've all heard the adage that money can't buy you happiness. But this timeworn maxim isn't entirely true. "Once people surpass $75,00 in annual net income, which would be about $82,000 in today's dollars, they experience no statistically signifiant bump in their day-to-day emotional well-being," states author and speaker Jenny Blake, referencing a 2010 study by Nobel Prize winner in economics, Daniel Kahneman and Angus Deaton, past president of the American Economic Association. So, once we achieve a certain level of economic security—which can provide things like a comfortable residence, travel funds, and expendable income for pleasure and activities outside work—we reach a point where money no longer contributes to happiness. So what does? "High net growth individuals love learning, taking action, tackling new projects, and solving problems. They are generous and cooperative, and have a strong desire to make a difference." Learn more in the podcast, and join us for a FREE webinar Thursday, September 1, 2016 presented by Jenny Blake, "Pivot: The Only Move that Matters Is Your Next One." Does Mindfulness Matter in the Workplace? You probably have heard about the benefits of mindfulness for our physical and mental health — lower blood pressure and cortisol (stress) levels, a stronger immune system, improved sleep, and enhanced emotional stability. These benefits alone are enough to indicate that mindfulness would be an integral addition to our lives. And yet, while many of us acknowledge these benefits, we hesitate or don’t know how to practice mindfulness where we need it the most — at work. Could mindfulness contribute to our work experience, and if so, what might it contribute, and how can we achieve it? First, to make sure we all on the same page, let’s define mindfulness. Alicia Maher, MD, author of From Scattered to Centered: Understanding and Transforming the Distracted Brain, defines mindfulness as paying attention to what is happening around us and within us without reacting to it. It is the ability to be in the present moment without distraction and without judgment. In other words, it is about paying attention to what is happening NOW! Unless we pay attention to what is happening now, how can we be effective and how can we positively impact the future? Recent research has shown how mindfulness practices can benefit us at work. Our modern work environments are increasingly dynamic, requiring us to “multi-task” to juggle multiple tasks, projects, and sometimes even multiple jobs. Mindfulness practices have been shown to improve performance under such attention-dividing demands. Researchers from the University of Washington tested participants’ ability to perform multiple tasks in a work setting. 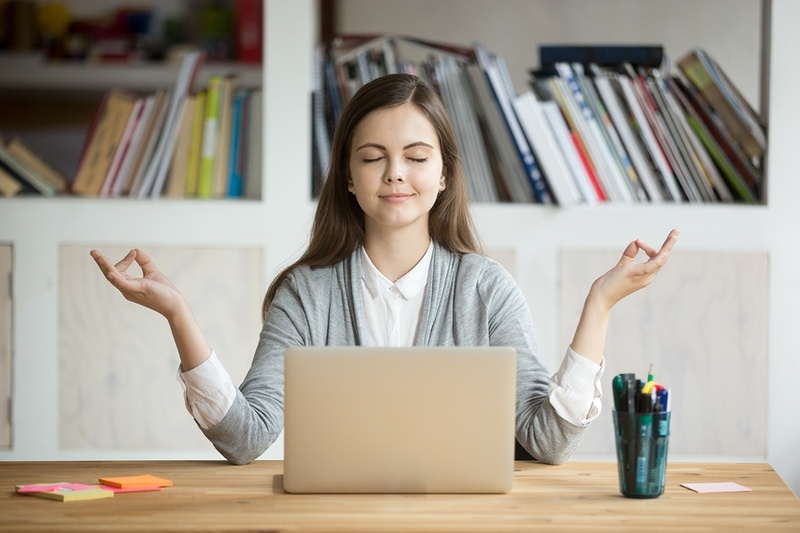 They found that mindfulness practices over an eight-week period improved the participants’ ability to switch between tasks and to monitor their attention resulting in a more effective overall management of attention and related mental resources. Aren’t these exactly the capabilities we badly need in today’s overloaded workplace? Wouldn’t you describe your workplace as a “dynamic task environment”? If you believe increased stability and control of your attention may increase your working potential but don’t know where to start, you’re not alone. Breaking old habits and achieving the benefits of mindfulness at work requires some tools and some consistency, but the rewards are immense. To help cultivate mindfulness at work, I developed a method called the Perfect 15-Minute Day Method (PDM). 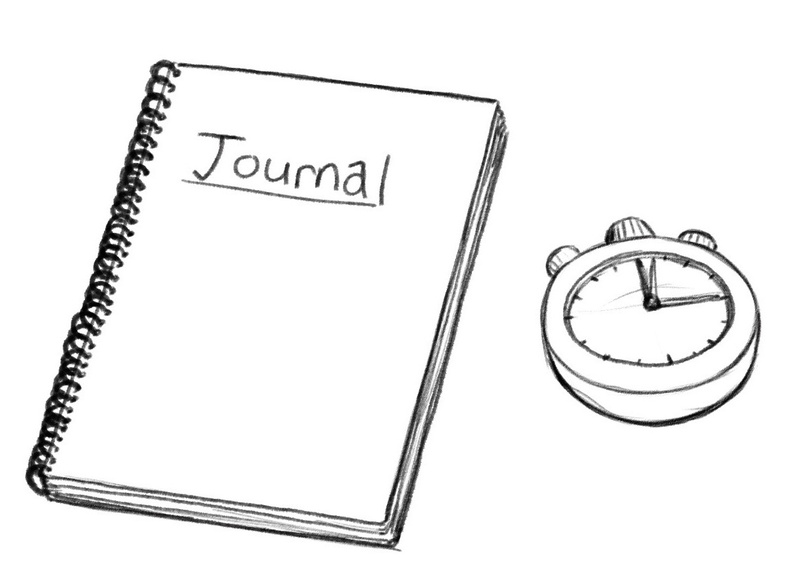 All that is required is a journal, a timer, and the method itself in order to get started. PDM uses “tags” and 15-minute increments to encourage mindfulness of tasks, goals, time, in addition to thoughts and emotions. Most importantly, PDM provides a method for recording distractions of all kinds. It is like a new “language” that makes mindfulness achievable every step of the way. 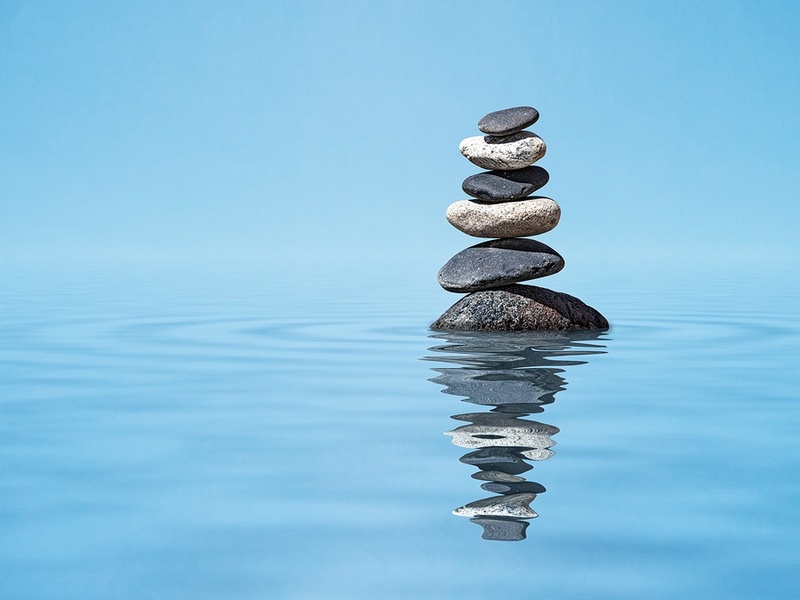 There are four core techniques through which the PDM promotes mindfulness at work. 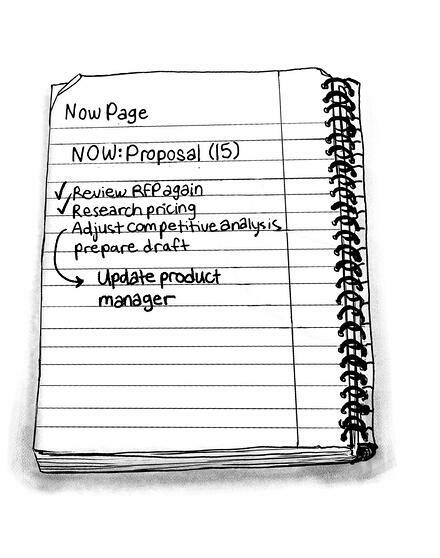 First, when you start to work on a task, write down on your journal a NOW tag and the name of the task. The NOW tag prompts you to be decisive about which task you will focus on for the next 15 minutes at least. This, as journalist and meditation practitioner Dan Harris asserts in his book 10% Happier, is a critical part of being mindful as it allows you to work assertively rather than reactively. This engages your active thinking and brings you to the present moment. Instead of hastily making decisions based on temptation, anxiety, or acts of randomness, you make more informed decisions based on wisdom by taking into consideration current reality and desired results (mindful task selection). Once you decide on the NOW task and write it down, the timer keeps you aware of time and keeps your attention on the NOW task throughout the 15-minute time frame (mindful task execution). Second comes MicroPlanning™. MicroPlanning is a PDM technique that involves breaking down the task that you are about to undertake into smaller steps and jotting them down in writing right under the NOW task. This helps you dissect the NOW task, which might otherwise be overwhelming or ambiguous, into smaller steps that are digestible and actionable. This breakdown also deepens your understanding of the NOW task, engages your active thinking even further, and provides you the framework you need to be able to recover when your mind wanders or you get otherwise interrupted, thus allowing you to return to the present moment. Third, the NEXT column, CAPTURE page, and TODAY page all help you notice and capture thoughts about things to do. Having a designated spot to jot down these items allows you to quickly return to your NOW task and thus return to the present moment. 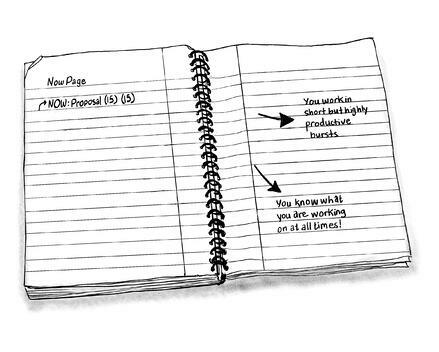 The NEXT column for instance is a column that you create on your NOW page in your journal so you can quickly and easily “park” interrupting thoughts about things to do after your current 15-minute focus session, instead of doing them right away and getting distracted from your NOW task. 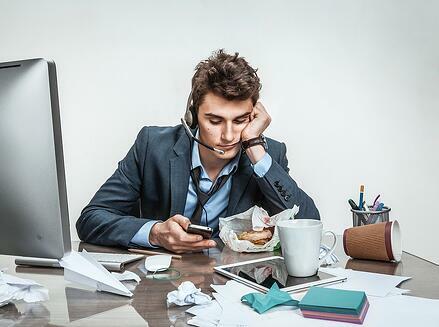 A study published in the American Psychological Association found that when distracted, people forget their intended task up to 40% of the time. Therefore avoiding these distractions is a huge step towards completing your priorities and feeling accomplished. Fourth, PDM encourages you to notice distracting thoughts and emotions by using the THOUGHT and EMOTION tags to label, rank, and move beyond them. MRI scans show that labeling emotions engages the higher order parts of the brain associated with thinking and planning; this indicates an awareness with less reactiveness to the emotion (remember, mindfulness is being aware without reacting). According to Chade-Meng Tan, author of Search Inside Yourself, How to Master Your Mind, and Joy on Demand, holding on - whether by refusing to let something go or by refusing to let something come - is what Buddhist meditators identify as the main cause of human suffering. Instead of holding on, PDM encourages you to welcome and transcend your thoughts and emotions, and, consequently, experience moments of happiness that quickly add up. Enough said! Mindfulness at work is needed and is achievable. It is the path to happiness and accomplishments and the best response yet to our work overload. PDM and the teachings of mindfulness thought leaders like Jon Kabat-Zinn, Dan Harris, Chade-Meng Tan, and the research of Dr. Eric Dane, the University of Washington, and the other thousands of individuals and organizations who have undertaken this topic are all here to guide us in undertaking this essential journey to happiness and accomplishment at work. with The Perfect 15-Minute Day book, eBook, journal, or eCourse! When you landed your current job, you were so excited to get started. You had so many plans, so many ideas, and so much passion. Eventually, that passion fades and not even your second cup of coffee can give you enough motivation to start the long-term project that you were so pumped about just a few months ago! Adults with ADHD know their strengths. They are an asset to any team with their out-of-the-box thinking, ingenuity, and creativity. Their high energy is infectious and can carry big ideas to fruition and make impactful changes within a corporation. But, as adults with ADHD also know, with the highs come the lows. While some days are focused and productive, other days are blanketed by brain fog, hopelessly distracted, forgetful and altogether disorganized. When ADHD throws you lemons, you do what you can to stay focused at work and make the most you can out of it. Here are 5 tips to make work bearable and even fun and to keep you engaged and productive in the face of ADHD. Games are inherently fun and engaging. Work isn’t necessarily so. 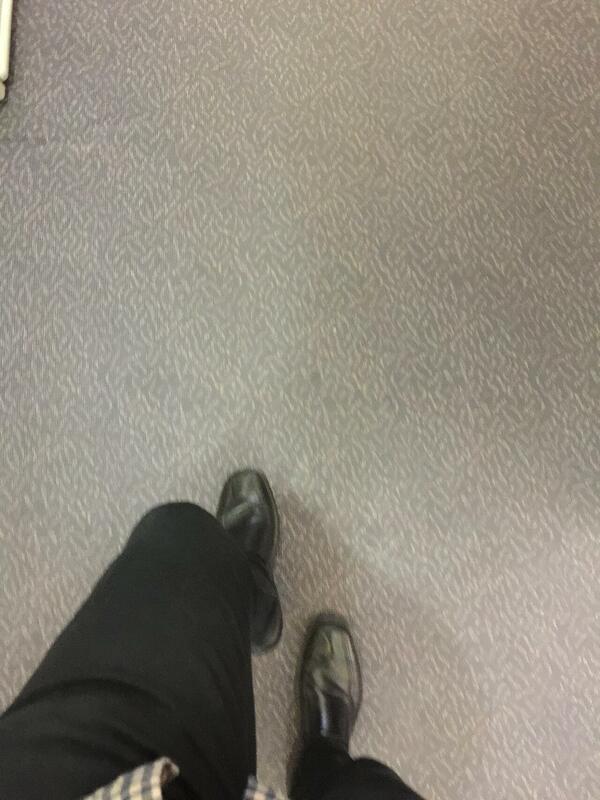 Stay on your toes by making work a game. First, break your project down into small, discrete tasks. Second, set a kitchen timer for 15 minutes--or your smartphone timer of course, and try to finish your task or a portion thereof before the time runs out. This adrenaline-pumping activity will keep the boredom at bay and help you finish your tasks for the day. When distraction strikes, keeping a record of your activity, and yes, even your distractions, can help you get back on track. I developed a tool to help me and my clients remain engaged whether the workday is long and repetitive, or hectic and variable. I call it “The Perfect 15-Minute Day Method” (PDM). 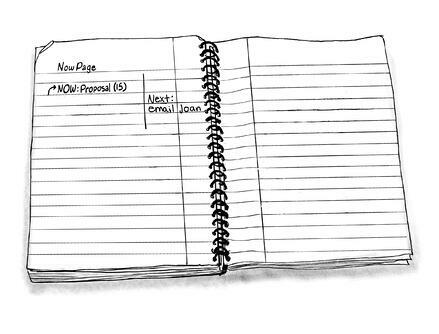 PDM incorporates the 15-minute technique of tip #1 and a simple journal system of “tags” for recording current tasks and managing distractions. This encourages goal-setting and time mastery, both essential for motivating your work. The PDM method of recording your activity helps you to better focus and regain focus after distractions or interruptions. For instance, when you begin to work on a task, note this down with a NOW tag followed by the name of your task, then set your timer for 15 minutes. Simply writing down what you want to work on helps quiet your mind to focus on the task; setting the timer solidifies your intention to work on that task. During the task, if you are interrupted or distracted, note this down as well with the applicable PDM tag. By becoming aware of your interruptions, external or internal, you can learn to better manage your focus. Having irrelevant materials in your workspace can subconsciously distract you from your current task. Metaphorically declutter your mind by clearing your desk and computer screen. Then, repopulate your environment with only the information that is relevant to the current task. Remind yourself of your current task by consulting your Activity Record (see tip #2). Pro Tip: keep all documents related to a certain project together in a paper or electronic folder, either in a file cabinet or on your computer desktop. Taking a 5-minute break before starting a new task can help decrease the impact of “attention residue” on your productivity. Attention residue occurs when thoughts of your previous task linger and divert vital attentional resources away from your current task. According to a recent study, 5-minutes of mindfulness (shifting your attention to your breath or the sensory input in your environment) can reset your brain and enhance concentration on the present task. On days when distractions and boredom are already eating away at your attention span, use this technique to take control of your attention and hit refresh. If you make a to-do list every morning and are keeping a careful record of your daily activities (see tip #2), it should be easy to go through the list and determine which tasks are still incomplete and need to be reassigned to another day. On especially distracted days, there may be more items than usual requiring reassignment. Don’t let this worry you. Variations in day-to-day performance are a normal part of being human. Forgive yourself for having an off-day and don’t dwell on it. Instead, remind yourself about the things you enjoy about your work and the achievements you’ve made. Hopefully, your boredom subsides by tomorrow, but if it doesn’t, use these tricks and tips to help you stay focused and stimulated. check out The Perfect 15-Minute Day!